Just a few miles from St Louis you can take a detour to Alton, Illinois. 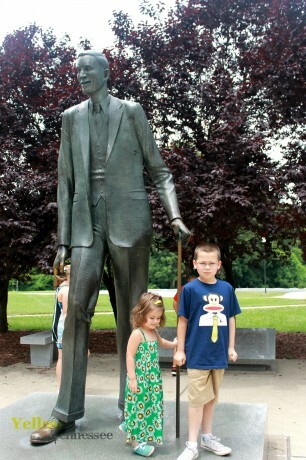 There on the SIU Dental College campus is a statue of the tallest person in history. Robert Wadlow was born on February 22, 1918. He was born and raised in Alton, Illinois. He is the tallest verified human being. At the time of his birth he was of normal height and weight. 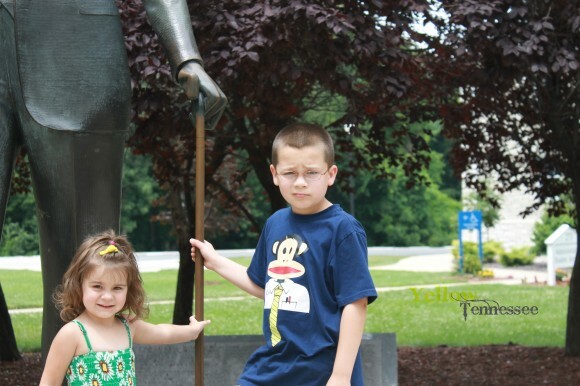 By age five when he entered Kindergarten he was already 5 feet 10 inches tall. For a little perspective, Genghis is currently 4 feet 6 inches tall. He barely comes to the top of his cane. 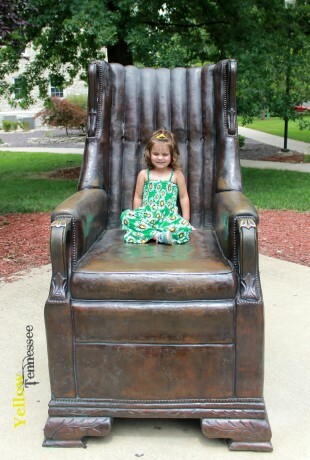 Also on site is a life size replica of a chair that was custom made for Mr. Wadlow. During one of his many press trips, a furniture maker noticed how he had such a hard time with regular chairs. So he was measured and a custom chair was made just for him. If you are ever in St Louis and have a little spare time, this is something that is worth seeing. Admission: There is no charge.